In 2004, Los Angeles voters overwhelmingly passed “Proposition O”, which authorized the City of Los Angeles to issue a series of bonds up to $500 million for projects to protect public health by cleaning up pollution in the City’s lakes, waterways, beaches and ocean. City of Los Angeles staff particularly targeted the removal of trash and debris conveyed in stormwater runoff and dry weather flows. 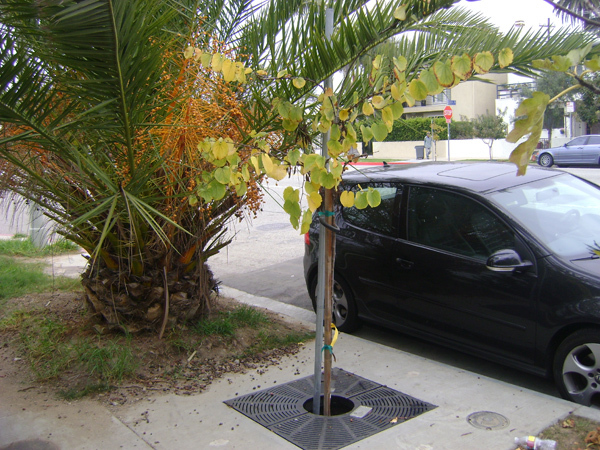 As one of the first projects funded by “Prop O”, the Grand Blvd Tree Wells project was selected to demonstrate the viability of capturing various target pollutants conveyed along City streets in the Venice area, a suburb of the Los Angeles. Project Managers at the City of Los Angeles Department of Public Works were tasked with identifying and selecting numerous locations along streets and roadways in Venice where pollutants typically discharge directly into the “Venice Canals” and into the ocean. Upon completing their preliminary investigations, The Filterra Biofiltration System was selected by the Dept of Public Works for installation at seven locations within Venice along Grand Blvd. The Grand Blvd. Tree Wells project is the first fully funded “Prop. O” project in the City of Los Angeles. Venice is a local residential neighborhood located next to popular tourist areas and local attractions. Stormwater runoff from neighborhood and tourist areas convey a variety of highly concentrated pollutant discharges from adjacent retail, commercial and residential activities. Stormwater discharges have significantly impaired the health of the aquatic environment in the Venice Canals and impacted the local economy for businesses that support water enthusiast and local tourism. In addition, Grand Boulevard is densely populated and provides limited space and opportunity for large treatment and collection systems for runoff. After reviewing several stormwater treatment options, the City of Los Angeles Dept. of Public Works staff chose Filterra for installation at seven locations along Grand Blvd. streets and roadways where the highest potential concentrations of trash, debris, sediments, and metals could be captured and treated. Filterra was also chosen due to it’s compact design and aesthetic features that local retail business and residences preferred over larger and more intrusive type stormwater systems. Filterra’s small footprint and easy installation made it ideal for this retrofit. 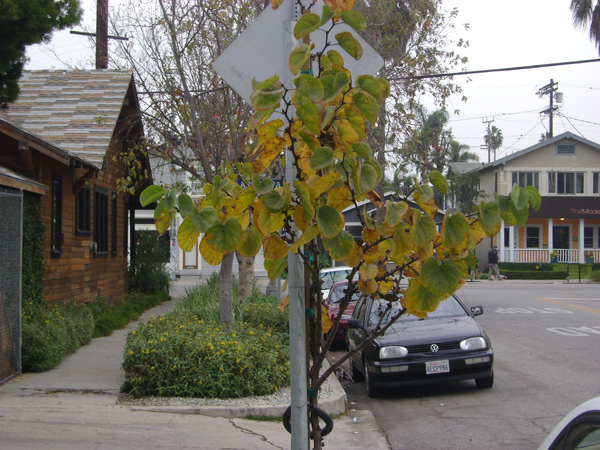 Western Redbud plants were installed in all seven stormwater systems to assist with pollutant removal, match existing landscape and add aesthetics to the streetscape.